A lifelong supporter of Southport Football Club, John Church did more than anyone to keep the football flag flying at Haig Avenue during his long tenure of the Chaimanship. A successful Scarisbrick produce merchant, he was co-opted to the board in November 1957 and served the club faithfully in that capacity for more than 30 years. Mr Church became Chairman in 1961 after agreeing to assume the responsibility for only a few months but in fact he held office for 14 years; during the latter days in the Football League his generosity ensured that the club did not fold. Had he still been Chairman in 1978, Southport might well have been re-elected to the League as he was a popular figure in boardrooms up and down the country. A sincere man of jovial disposition, he was ably assisted by Vice-Chairman Leon Rapaport, who acted as board spokesman on a number of issues. 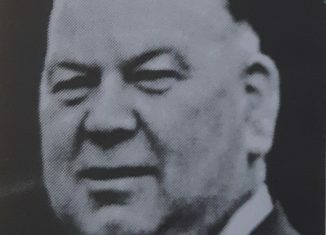 Mr Church became President of the club after the loss of Football League status and remained in this ex officio role until his death on June 23rd, 1990, aged 80. Whilst his numerous extravagant gestures went, on occasion, as far as buying expensive suits for the entire playing staff, his good intentions were sometimes open to misinterpretation; it is frequently recounted how less seasoned players would respond enthusiastically to his promise of a five pound win bonus, only to discover later that their reward was actually five pounds of potatoes!